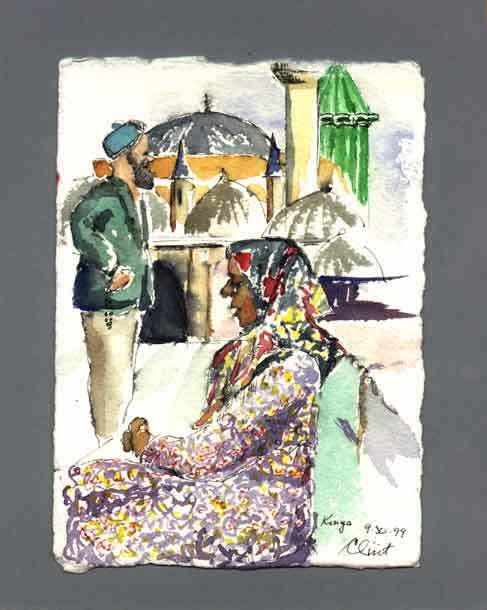 Sitting in front of the Mevlana Museum in Konya, this modern Turkish woman may be from Istanbul. She wears a colorful dress instead of a topcoat. She seems overwhelmed with emotion. "The cure for pain is the pain.